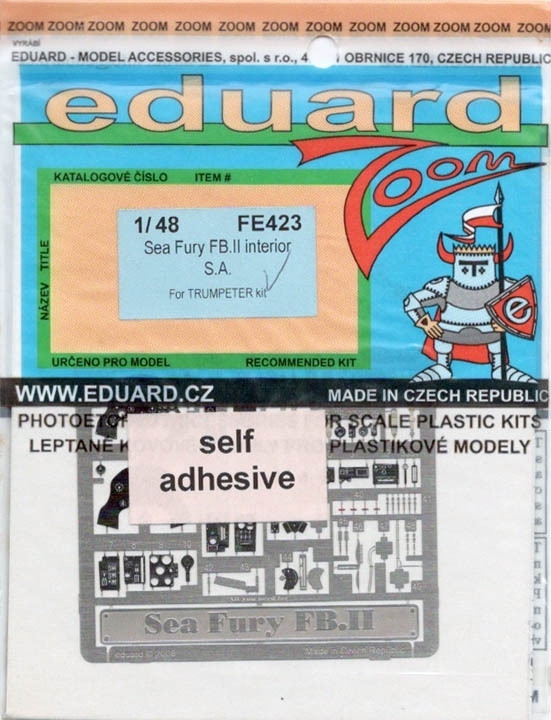 Eduard Item #FE423. 1/48 scale. Photo etch detail set from the Zoom line, produced by Eduard for a scale model Sea Fury FB II. Recommended for Trumpeter kit. Set is pre-painted in color. Self Adhesive.